The storyline is good. It's interesting, exciting, and fun. However, it kind of feels like I'm just sitting on the sidelines. Almost like this is a collab between the KC members, which is cool, but I don't have much impact. All I do is respond to building prompts. And these prompts are already geared toward a specific result. The last two GCs, for instance - things returning back to normal and help the Garhiems. Obviously neither of those are changing the storyline. (And I understand that this isn't always the case especially if you are an outlaw.) Also, I don't really like the three categories. I get the idea with having different size categories, but building three of the same things, even at three different sizes, doesn't inspire me to enter all three categories. Why not copy GoH the whole way and make the three categories different? While in a way, war is "exciting," in another way it can get boring easily enough. I'd like to see some really unique GCs that maybe even push us out of our comfort zone a little. I liked the exploration option, especially if that is not just "build your character exploring your guild" but more like, "tensions were at an all time high, when a group of Garhiem fishermen stumbled across *insert awesome artifact/location/discovery here*. In a burst of enthusiasm, the faction leaders dropped their differences and embarked on a race to discover more about this *insert awesome artifact/location/discovery again*." Obviously that's just something I came up with on the spur of the moment, but hopefully it gets the idea of what sort of uniqueness I'm thinking of. Not specificity, but uniqueness. As for the prizes, they, bragging rights, and the comments/feedback offered by LoR are my main building motivation. However, a good, unique challenge is a great motivation as well (the sort of thing that you read and just can't wait to get to the building desk and start fiddling around with some of the ideas you've got crashing around in your brain), something that for me at least I don't see a whole lot here (and of course, one person's good, unique challenge can be another person's lousy, boring one). Took the survey. Here are my thoughts, and please bear with me, because this may sound a bit harsh, but I feel like it needs to be said. First off, I appreciate what the KC does, and all the effort they put forth into this project, and that I want LoR to thrive as much as they do. However, we are doing most things, very very wrong. First off I will start with a concept called "Railroading". Those of us who play role playing games like I do have probably heard of this term. Others might not have. What "Railroading" is, is when the person who is a running a role playing game has a very specific idea of exactly what is going to happen in their campaign. Any attempts by the players to take the campaign in a different direction or to make an impact in the "grand tale" that the game master is running is prevented in favor of letting the game master tell the story that he or she set into motion, regardless of whether or not the players themselves want any part of it. They are "on rails" so to speak, and are really only along for the ride. I think that LoR is a fantastic example of railroading. The GCs mean absolutely nothing. Almost none of the GCs had anything at stake at all, and of those that did, there were really only two possible outcomes. For example, back when Galanir took over, and the players were disallowed from violently opposing her, for the in game reason of the three lords, and others being held captive. Why? That is a poor gameplay decision. Why? Because you are disallowing the players from making their own choices and affecting the campaign. So Galanir has hostages? What if my character, an amoral mercenary, who does not care about the hostages one bit, decided to take out several troop outposts and initiate an early rebellion? Maybe then Galanir kills her hostages as punishment, or maybe she reveals she was bluffing, etc. That is how you play the game. By creating consequences of actions, and following through. Instead of just not allowing something, you allow anything, and then illustrate the effects of the actions taken. The decisions should be the sole property of the players. The KC's role needs to be one where they show how the world changes as a direct, or indirect result of the choices and actions taken by the players. Why do I need to win a GC? Why does it matter? The same thing happens no matter what. There is no motivation at all. Give me a reason to win, to want it. I advise that the winning faction of each GC gets to make that global choice (NOT THE FO, but a vote from the ENTIRE FACTION). The individual people that win get to make similar global choices, but on a bit of a lesser scale. Furthermore, MAKE POINTS MATTER. They mean nothing. Why should I care if my faction has the most points? What I suggest for a points revamp is the following: A FINITE amount of points, divided between all four factions. This would require a complete reset, however the way it would work would be the following: 1000 points, referred to hereby as "influence". Each faction receives 250 points to start. Every GC, your faction stands to gain or lose the points of other factions, depending on how they perform. Each GC would have at stake, a different amount of points. 100 as the standard, 50 for "low stakes" GCs, and 150 for "high stakes" GCs. 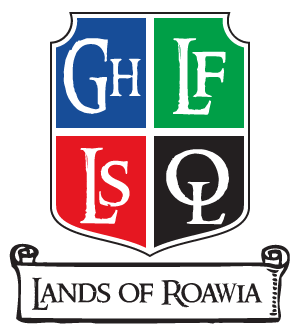 The faction that wins gains that amount of points, which is then taken from the 3 losing factions, depending on how they placed- so for example, say the outlaws win a "High Stakes" GC, with Loreos in second, Lenfald in third, and Garheim in last place. The oulaws gain 150 points, bringing their total "influence" up to 400 points. Loreos came in second so they lose 25 points, bringing their total influence to 225. Lenfald came in third, so they lose 50 points, bringing their total to 200. Garheim came in last, so they lose 75 points, bringing their total to 175. The game then continues on from this. Influence is constantly going up and down depending on how the GCs go about. Now, how would "influence" matter, you say? Simple. Influence would matter in the very real advantage of KC votes. The faction with the most influence gets more weight on the KC. For every 100 points your faction has,that is how many votes your faction gets in KC matters, meaning your faction has more weight in terms of how things play out. Meaning, if the Outlaws have 400 points, they get 4 votes, while Loreos and lenfald, at 225, and 200 respectively only get 2 votes each, and Garheim, at 175, only gets 1 vote. The Outlaws would then have more weight than the other factions. Now, this idea can probably be fine tuned, but I think it makes things much more interesting than the current stale system. Also, I agree with Andared on the Kings Scribe position. One of the issues that I will detail in a bit is the current storyline and characters. One of the major problems with it is lack of consistent writing. When you have 4 or more people posting updates, it doesn't work. Everyone has a different style of writing and a different way of characterizing NPCs. Which results in a spotty, inconsistent story with characters who don't evolve with time, but rather are a completely different character every time they make an appearance. Without a central writer, I see no improvement happening on these fronts. 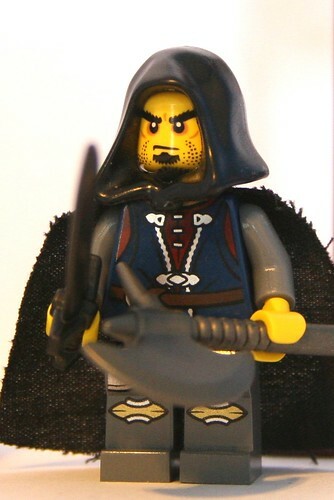 Also, as a note- THIS IS A LEGO RPG. I AM INCREDIBLY DISAPPOINTED EVERY TIME I SEE A STORY UPDATE WITH NO CORRESPONDING MOC. I feel like this is starting to happen more often, and I see it as unacceptable. One of the staple jobs of the KC is, or if it isn't it should be, is to Illustrate the story with MOCs. KC council members need to not only be re-elected every year with a standardized system, but they need to have term limits. This keeps the game fresh, and allows for new blood to step in and revitalize the game every year or so. Otherwise, the game becomes stale and predictable. Also, I'm sure that a lot of people would like to try their hand at an FL or FO position, but have no chance of doing so because the position as it is now is currently indefinite. Now, the current storyline. What? Seriously guys, are you telling me that Chartres, Mr. Mary-Sue incarnate, (Look that up, if you don't know what a Mary-Sue is, you should) is throwing his kingdom into a war over a girl he just met. Not only does that make no sense, but the worst thing of all is that, coming from Chartres, it is unsurprising. He is a poor character. Not poor, as in I don't like him, but as in, poorly written. He is forced on the players as an In-your-face THIS IS YOUR FUTURE KING, AND YOU WILL LIKE IT kind of way. Every scene with him is forced and a bit cheesy. The worst of all is this new romance. So, after one update, he is ready to cause the deaths of thousands over a girl he just met? Even further, the romance itself, not only is it extremely heavy-handed in the way it is shoved in our faces (a MUCH better way to pull this off would be to build it up gradually over time with small hints), but it seems to be one-sided. Is there even any evidence that Emmaline has any feelings for Chartres? Does she even WANT to marry him? He seems to have just unilaterally decided they are getting married, which I find ridiculous, personally. (Again, no disrespect to the KC, but the ENTIRE Chartres arc is, very poor writing, and in my honest opinion, it could have been done much better). Continuing on, in regards to a recent issue, that some may not have heard about. The faction leaders overall character should be respected by the KC, and each FO should have the final say on how any of the leaders (that being the specific leader of their faction), behavior-wise, is depicted in each story update. The FOs are elected to represent their factions, and as such, they need the authority to stand firm on the words and actions the leader of their faction takes, so they need final say on such matters. The KC should understand what I am saying here, and I believe very strongly on this regard. Next. The faction leaders are boring. Always have been. Nothing ever really seems to change there. They are very archetypal characters and have shown zero character development or growth beyond their specific tropes, and are, in my opinion very tedious and unlikable, and it absolutely SHOCKS me, how the people of Roawia are able to tolerate this continued level of ineptitude from incapable leaders who have really, achieved absolutely nothing at all during their tenures. Am I to really believe that every Garhim is absolutely loyal to their overly stoic, foolhardy, and unwise Jarl? That every Loreesi is absolutely loyal to their warmongering, snide, callous, self-centered and arrogant prince? That every Lenfel is absolutely loyal to their bland, boring, forgettable High-Lord? I think not. This, in my honest opinion, needs to change. Either the leaders need to start showing some character, or they need to be killed and replaced by more capable nobles. Finally, I have grown to notice that there seems to be an unspoken "no criticism" rule in LoR, whether on MOCs, or regarding the actions of the KC. There are very little comments on anything other than "wow, amazing", or, "good job", whether in regard to MOCs, or in regard to story updates, etc, yet participation and sign ups have been dropping, and fast. Players need not fear to criticize, so long as it is constructive criticism. Constructive criticism makes us all better. When you see something that isn't the greatest, point out how you think it could be better, and maybe even why you think it wasn't that awesome to start off with. This kind of communication improves building skill, and how the game itself runs. Anyway, felt that all had to be said. Again, no disrespect meant. I want LoR to succeed just as much as the next person. 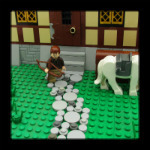 I think we CAN make this the best fantasy lego rpg, but change is needed. I'm very much on board with Lord Mercat. However, if we were to implement the feature of individual character actions affecting the Global Storyline, we need some regulations and some kind of system for that. What if someone wanted to be a troll and had their character do something that completely messed up the storyline. Example: I decided that oh, Sir Ian doesn't like Chartres, so he's going to come and cut his throat in his sleep. Such incidents might leave the storyline TOO player-driven, and out of control, with 25 different "official canons" and whatnot. There needs to be at least some kind of restriction on what you can do by the KC. However, I definitely agree that we need to see more effect of faction outcome in challenges, and, as stated, faction points, on the Global Storyline. Agreed, Lord Mercat hit the nail right on the head there. I especially agree with the whole part about railroading; I'm occasionally forced to not participate in GCs or LCs because it isn't consistent with my story for my character to be doing the set task. I'm also totally on board with the Faction Influence, too. I have gotta say, I absolutely love the concept of influence, and resetting the GC points. I think it'd give outlaws a whole lot more to play for if we reset everything. Right now they're in such a huge ditch that they could win two straight GCs, and still be miserably behind in points totals as long as the other factions had at least a slight amount of participation. I'd really love to see Mercat's ideas implemented. Thank you, all of you , for your honest evaluation and input. Keep giving it. In otherwords; we feel you and understand you, and have been working hard to make some changes we believe everyone wants and needs to see. This is why, as Jordan stated, we have internally titled the framework LoR 2.0. It's that big of an update to us. We earnestly hope and believe it will be received well. 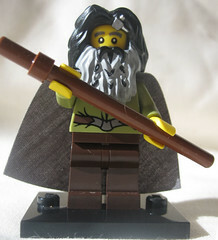 THIS IS A LEGO RPG. I AM INCREDIBLY DISAPPOINTED EVERY TIME I SEE A STORY UPDATE WITH NO CORRESPONDING MOC. I feel like this is starting to happen more often, and I see it as unacceptable. You've got a lot of good ideas, but this comment rubs me the wrong way. You DO understand that, despite our apparently incredibly poor writing skill, it takes a very long time and a lot of effort to get these story updates out, right? We aren't just part-time pizza delivery boys with 4 hours a day worth of free time at our disposal, you know. Often, we elect to put out a story update without an accompanying MOC in an effort to be things out in a timely manner. 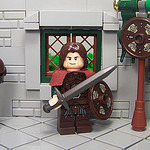 Heck, I've been so busy running this site and RPG with what little Lego time I have that I haven't built anything bigger than a vignette for my own character in approximately a year! "Disappointed"? Fair enough. I too prefer to have some sort of MOC accompanying the story, as I agree that it adds a lot to the presentation. "Unacceptable" is just flat-out rude and I would appreciate it if you could present your opinions in a less abrasive way in the future and show some respect and appreciation for the hard work that goes into this project. Simply saying "I mean no disrespect" at the end of your post doesn't excuse three full paragraphs of being a jerk. To add my thoughts into the "mix", I think it would be really cool for players DURING Global Challenges to claim/ take over new territories. For example say we have a Global Challenge surrounding a "War against Lenfald", and just say that Loreos submits a build showing the capture of a city, say Stonewald. There could be pre-determined rules set up by the KC (prior to that GC) on which cities/territories can be overtaken by an opposing faction. Here is an example. Outlaws - Baldmoore Fortress (in the Shade). During the Global Challenge each faction can choose to attack one of these key locations (by having a minimum of two builders create a MOC showing there forces attacking that location). The Defending faction can then choose to "defend" their location by building a defense moc (minimum of two builders). For example, suppose that Mark (of Falworth) and Mattiusxavier decide they both want to attack Stonewald, they would build a MOC depicting the battle.. Now suppose that Andared and Sir Calaen want to defend it, they would create scenes showing the repulsion of Loreesi forces. At the end of the GC dice are rolled as well as faction points are accounted for when determining the outcome. A description of outcome results can be seen below. Suppose that a 5 was rolled for Loreos and Loreos received 50 faction points in the GC, and say Lenfald rolled a 6 and their points were 55, they (Lenfald) would win the "battle" and retain control of their city. However, say Loreos rolled a 6 and Lenfald rolled a 6, but Loreos' points were 60 and Lenfald's points were 58, then Loreos would seize control of that city/territory**, because although the dice rolls were even, Loreos out-gained Lenfald in faction points. In this situation defense always wins dice ties, but not faction point ties! If there is both a faction point tie and dice roll tie then the dice are re-rolled to determine the victor. What are y'all's thoughts on this idea? ** Certain restrictions would need to be set up, for example one faction can not control the city/territory of an opposing faction for longer than 2 months (at one time). Once that time-frame expires the original faction regains control of that territory/city. Some exceptions can be added to these time-frame restrictions to enhance the Global storyline and overall gameplay. I'm not being a jerk, I'm sorry that you feel that way, but I am being no-holding back, blatantly honest here, which I feel, is what is what is being asked for in this topic. It might not feel good, and its certainly not what you want to hear, but evoking an emotional response will get more results than just a bunch of niceties. You can think what you will, but I am honestly trying to give out suggestions that will make this game better. I understand that being a member of the KC requires a lot of work and effort, and time is precious. I understand you have already put a lot of work into this project and you specifically have been there since day 1, and so the project is very close to your heart, and despite what you think, I do respect the work you and the rest of the KC have put into this project. However, I stand by what I said. If you don't have the time to be a member of the KC, then you can always step down. Maybe I was a bit harsh in the language used, but I feel that being abrasive is necessary sometimes. Again, I have a lot of respect and appreciation for the hard work that goes into this project. I do however, feel that it can much better than what it is. This is a lego RPG, having a story update without an accompanying MOC is unacceptable, I will not back down from that word. More than the story itself, this game is about the LEGO. 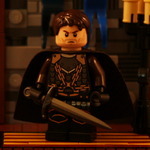 If you don't have time to build a MOC for a story update, you have an entire game's worth of players who would undoubtedly be willing to help you out. Heck, I'll help you out if you need it, I'm at your disposal. And, it's less of "incredibly poor writing skills" and more of "lack of consistent writing because of multiple writers with different styles." Harking back to Andareds post about having an official writer. In fact, maybe you can even use the winning GC entries for storyline MOCs, who knows? So, go right ahead and think I'm a jerk. But please take into consideration what I've said. Sometimes you have to be the bad guy. RBCustoms I agree, that sounds really cool! Maybe another factor in the claiming or sustaining of a city would be the quality of the MOCs themselves, each one would score a certain number of points out of (5/10/50, etc.) and that would be added to the roll. Now I'd like to address something else Lord Mercat said. We should agree to accept constructive criticism. Constructive criticism makes us better builders, and that attracts more attention to the game. Example: recently I was actually thinking about additionally trying out LOM(Have mercy!!!!). Why? Because I got a good impression of the game from the large amount of impressive MOCs that were popping up built for it, specifically the Tourney. This shows that good MOCs built for a game=better impression to outsiders=more people joining. So if we can help each other and build one another up in skill, not as rude nitpicks, but as helpful and welcome advice, then we can really expand. Now that's not a major decision one way or another for the KC to decide or anything, just something to think about when commenting on someone's build. Yes, polite and constructive criticism has always been welcomed on this forum. Most people even say, "C&C welcome" when sharing MOCs, and the KC has never been against receiving input on stories, gameplay, etc. What Ian just said is what this RPG should be about. Helping each other improve and hone their building skills. While learning more skills along the way. Now don't get me wrong, matters like builds accompanying stories and other points are important, but if none of us improve as a builder, or pull something out of the experiance. It's all been in vain. There are good builds revolving around LoR, but A good amount of our really, really, great LoR first impression builders don't have time to post alot of builds. 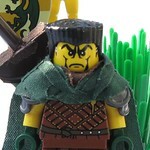 For a LEGO RPG the builds are really what stirs the want to join. So I think that we all should focus on helping other LoR builders become great builders. Which will in turn inspire more people to join us and we will grow. And I'm not saying that I'm perfect and the most encouraging, but I think helping other builders become better will help us grow. For a while, the thought of being able to capture enemy territory sounded appealing to me too. And part of me still thinks the idea could still be implemented on at least a small scale (I wouldn't put capital cities like Stonewald at stake for something like this). However, my biggest issue with this is that it's somewhat meaningless. I mean, does it really matter if Loroes controls the city of Durrough? Or if Lenfald controls Toberg? Sure, you get some bragging rights, but in terms of what you can and can't build, you haven't really gained anything. Resources in this RPG are infinite, and so is land, so you are ultimately gaining nothing aside from a bit of personal pride by taking another factions city. On the other hand, you ARE causing a lot of negative feelings between the two factions involved in something like this. There's bound to be just a little bit of animosity when you throw in a competition of this nature. On top of that, another faction controlling a city can be very restrictive to builders of the faction which has lost its city. Overall, I think you stand to lose a lot more than you can gain by implementing something like this. There's probably a way to do it that could work, but I don't believe that adding in this mechanic, even if it worked just fine, would really add a great deal to the overall quality of this RPG. In other words, I feel like there are bigger fish to fry at the moment. The concept is good, it's just the timing that I think isn't right! Okay Just finished the survey. In all honesty I joined LOR as a way to get me involved building. In ALL and I mean ALL, It hasn't spawned the building I was hopeing for. An has let me down from that standpoint. I do Like the story , However I do feel Railroaded in the standpoint that even if I was a good writer/ builder my character would not effect the outcome of the story at all. In the beginning as LCC it seemed there was more interaction with the original members molding the story line due to the interactions with there stories. However recently it has become One sided with the respect that, here is the main line It is LAW, you character can interact with it but the line will not change due to those interactions. So in reality by developing my characters story I may as well just play a game with my self, as interactions with others seems non existent. On the same hand you could Fault me for not interacting as well, But in reality there are maybe 5-10 who build anything on a regular basis for LOR. More participation seems to be needed somehow. On that note I posed this question to my wife Whom I have been trying to get to join, " Would you join up if you didn't feel that the forum was a Boys Only Club, An if your character actually had an effect on the out come of the story?" So I asked "What would make you WANT to Join?" I actually did get my wife to join another forum, but after she got slapped in the face by a MOD, for speaking her mind she has stopped visiting forums and is very apprehensive about joining anything else. The reason I have been more active here as opposed to other forums is we are currently a small group, and I feel we CAN speak our minds within reason without Mods being overly critical by conversation, what ever the conversation may in-tale so long as it is in context. Now as to the need for having a MOC accompany the story updates, Yes this would be Nice. And Yes this should happen eventually for every update. However would I expect a MOC to follow right after the update? No. But within a reasonable amount of time say 2-4 weeks. So to sum up I would love to see LOR Succeed, But in order to do that We NEED "Active" Member's, Participation from Members, Player Driven story line or at least a story Arc where Participants help mold the story, and of course New recruits. On that I feel that the Faction Lists need a Purging of inactive membership, I.E. if you haven't built anything or participated in the group for the 6 months to year, you get bumped to an inactive list and all player points reset to 0. Just some random thoughts of mine Take them as you will. Survey completed! Man I have been so bad at being active in here, hopefully this will be a good point I can reintroduce my character and begin to show a storyline I've been working on for some time to fit in. First off, if things are going to continue the way they have been-- I would have to say that if newer members are wanted, I think we should have a Global Challenge that isn't too story based and more for building/fun. I think we need a couple of GCs that were like the originals at the beginning of building a boat or having a joust or something where it doesnt matter what your character is or where he or she is in Roawia, anyone can join in regardless. I personally feel (just my opinion) that the past GCs have been very specific towards the storyline with the wars (which have gotten kind of old) and has had a very strong "railroad" effect like Lord Mercat said, which I think makes it hard for members to jump in unless their stories fit the exact tasks. So maybe one or two "not-so-serious" challenges could help bring in new members and engage our current members to join in no matter where their stories lie. We need to refocus on the building aspect of this whole game methinks. The scoring isnt based so much on points as it is who wins the GC, i.e. if Outlaws win they have the most influence or votes for what happens as a result of their win and then it cascades down from there to where second and third have less and less influence and last place has none. I think a good system for figuring out how to deal with the influence is having a series of options (maybe 3 or 4) of what can happen after the faction wins determined by the KC to keep the storyline regulated. Kind of like those children's books where you can choose how the story goes by reading the book a certain way. That way it's easier and not only quicker to decide how the rest of the Global Storyline goes but giving the players the choice which will affect how the game goes in the future. This is where I feel differently than Lord Mercat, I think the current King's Council and Faction Overseers and Liaisons are doing a great job in the work and effort they have put into this and I don't think we should change them often as they do a lot of "housekeeping" work that is not for everyone. I think the choice of FCs and FLs should be done within each respective Faction. I think the way they continue the story should be more player based rather than what they decide on and to stop from railroading the game. I also kind of feel the inability to give much actual constructive criticism, just seems kind of hard to say what is needed to be said without stepping on any toes so I feel Lord Mercat's comment was necessary for this discussion that we can all contribute to. I think all the work with the global storyline is really good but I feel like to enhance it, there should be a more broad range of which the story extends, maybe something is happening in Garheim or Loreos or Lenfald at the same time something else is happening. It would be cool to have each story update to feature snippets of whats going on around each faction. It just feels that when reading the story it is very centralized and doesnt give a sense of scale or timing of whats going on in this huge continent. I think having MOC's to accompany the updates would be nice and Im positive several players wouldn't mind building a little scene (doesnt even need to be big) to help the updates be a little more MOC-y Im sure a sign up list will make that a nonevent! I agree that these characters are both boring and predictable and I feel that they are separated from their faction, it seems like they aren't really involved with the players except for the select few that have ties to each (Like Mark of Falworth with Prince Jarius). I think we need to develop some way for us to have more say of how our leaders interact and show more player-leader involvement. ....So all-in-all I think it's time for the game to mature a bit more in the ways a lot of us have been mentioning and I think a whole redux of the global challenge system is in order. It just doesnt feel like you're fighting for anything anymore, it did at the beginning with the original wars where we really didnt know what could be coming and it kinda felt like what the outcome was actually affected the storyline but now I feel a lot of ideas have been exhausted and everything is a little more predictable. It's just hard to want to play/build when it's as predictable as it has been. And to sum up most of what I have been mentioning is that I personally feel that we are just left in the dark too much with what's going on until a story update comes out and I have to say sometimes Im quite disappointed in where the story is going. Not discrediting the effort it takes to put into creating the updates and storyline but with the ideas given so far, I think you'll find less disappointment from everyone overall and in turn, more enjoyment and inspiration to build and work on when we are all pitching our ideas and what we want to happen. And if we implement this previously mentioned new challenge system, it will also give a live feedback as to how the players feel about the storyline because if we want more war then we will vote for more war and if we want more peace and exploration and normal day-to-day challenges then we will vote that way as well thru the way we vote the story to go based on who wins...so basically it's a huge cycle that will be positive for everyone.